With the evolution of technology, there are big changes taking place in the food world too. Grocery has now become a career option for the students passing out from their schools. Many years ago, nobody would have thought of Grocery as a profession. The growing interest in and involvement in making a career in the Food industry shows the rapid growth of Food technology. In the months gone by, various CEOs of mega food companies have stepped down from their posts. This in return opened doors for new executive arrivals in form of new generation of talents who are open-minded. The idea is for a new marketing model which must be built in and around the consumer. Thus, giving great importance to the consumers becomes a priority. Hence in this era of evolving Food Technology, the objective is to create an atmosphere that makes the life of consumer much easier, more enjoyable and healthier. Some companies have begun to show a glimpse into future technologies in the restaurants and even in several other household food products. 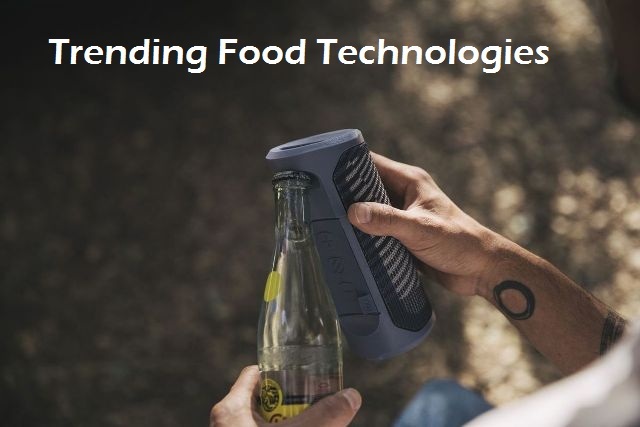 Here is the list of 7 best Food technologies which are trending in the year 2018. There will soon be a time when we will witness Robots performing all our day to day activities. This will eventually lead to an era where Robotic technology will further grow and take charge of the civilization. Till the time arrives, the Robotic techs are used for the simpler tasks in the meanwhile. A common use of robots in the indoors is to grab a bottle of beer and delivering it to its owner. Along with the feature of handing over the drinks, these small-sized robots are also capable of cleaning work. It helps you in the cleansing of the household items. The technology has raised to such incredible heights that we can now control our food making devices with a voice command or even by applications. Amazon Echo’s famous voice assistant, known as Alexa is a very smart creation. It is a way more than just a kitchen timer. In Whirlpool’s new smart oven, Alexa can actually help prepare food. Alexa’s voice command is able to set the specific temperatures in the Oven for the required time. You can also control the working of your oven with a simple mobile app called Yummly. It is a helpful app for setting the preheat and cooking instructions in the oven. While the overheats up, you can make other preparations for cooking. Technology has developed so many industries, it is impossible for it to not have an effect on Refrigerators. The New trend of smart fridges has brought together a host of new features with it as well. Renown companies like Samsung and Whirlpool are introducing new smart fridge which offers the facility of playing music with ease. The fridge is capable of playing music from inbuilt apps like Pandora. The users can also stream music and play it in their refrigerators. There are speakers fitted into the fridge which offers quality sound output. It is a really awkward moment whilst you prepare for a party and forget to let the bottles of wine breathe. Decanting of wine is crucial process before you can enjoy a proper drink with your friends in the party. The introduction of The Aveine Aerator has made the process of decanting wine easier. This is a small gadget which allows you to select exactly how long you would like your wine to be decanted. Aveine sparkles over the bottle and the app tells it exactly how much air to pass through the pour. This reduces the hours of decanting process in seconds. Smart fridges are the going trend nowadays. 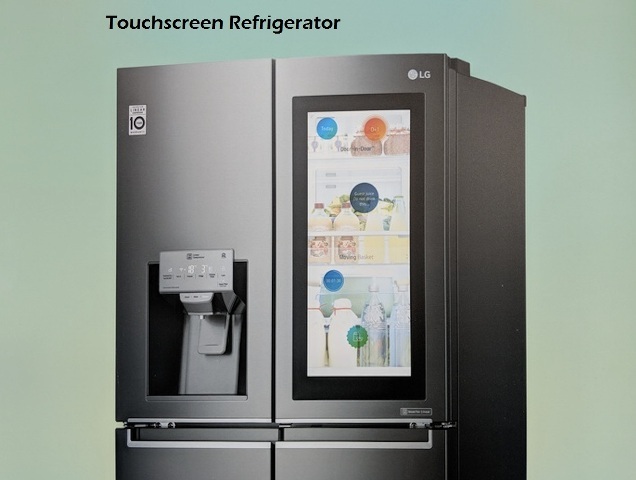 LG’s new smart fridges come with a mammoth 29-inch touchscreen fitted into it. The touchscreen becomes transparent with a couple of taps on the screen. This touchscreen facility has its own various advantages. The users will be able to see what they need to add to their shopping list and thus, add the required items to the list. It is quite an efficient technology to have a refrigerator with a touchscreen facility. It saves time as you can instantly check for the items you need to buy without opening the Refrigerator. Before beginning a flight journey, usually, the traveler sits down in a spot in the airport with expectations of enjoying a nice meal. However many a time due to unfortunate luck or poor servicing, the meal is consumed before the person can get their hands on it. In order to rectify this problem, LG has introduced a new robot for the purpose of food servicing. This robot is designed and instructed to deliver food and drinks in the airports. However, this technology is still in its initial steps, therefore, the total implementation will take time. Scosche have come forward with their new invention of a Bluetooth speaker that comes with a feature of opening a bottle. The BoomBottle Bluetooth Speaker is dust and water resistant. This device seems perfect for the time when you go to a beach and listen to songs in the speaker, while also popping up some bottles open. It is a two in one device which can come handy to the music and drinking addicts in many occasions. All the Food technologies have the same motive behind their existence and that is to reduce the workload of the people. At the same time providing advanced and innovative features to get the work done in a simple yet swift manner.